Post-transplantation lymphoproliferative disorders (PTLD) describe a spectrum of pathologic and clinical entities that may develop in the setting of decreased T-cell function and altered immune surveillance following haematopoietic stem cell transplantation (HSCT) and solid organ transplantation (SOT). Increasing knowledge of risk factors, including the pivotal role of EBV, has led to some successful pre-emptive practices and a decreased incidence of early disease. 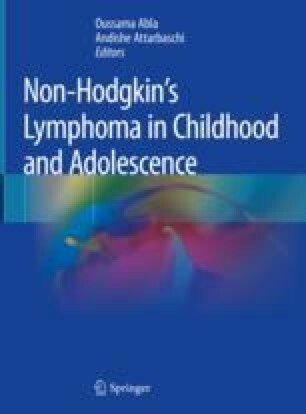 However, PTLD remains a significant cause of morbidity and mortality following paediatric transplant and significant contributor to the paediatric non-Hodgkin lymphoma (NHL) burden. Treatment strategies for PTLD must be tailored to the individual patient context with input from the interdisciplinary team. An improved understanding of the molecular pathobiology of the disease and the complex interplay of host, EBV and tumour is necessary to better define high-risk groups, refine pathological diagnosis and plan management. Prevention of disease remains the ultimate goal.